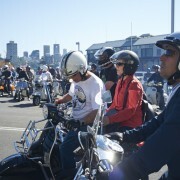 What a great home game this was! 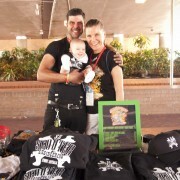 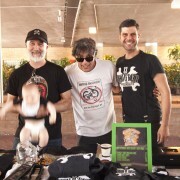 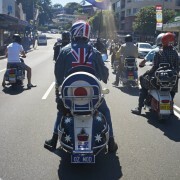 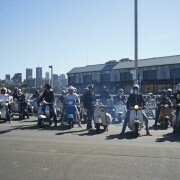 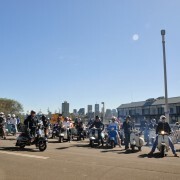 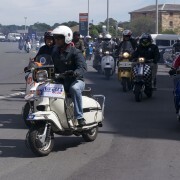 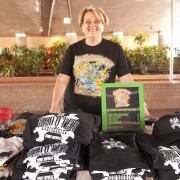 Thanks to the Ardly Normal Scooter Club and all sponsors including S.S.Scooter Engineering this was a fantastic event for scooter riders from all over Australia and even from Germany! 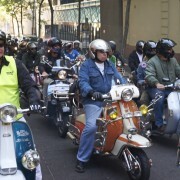 Yes, we are getting some scooter tourism! 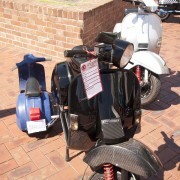 Sandy was awarded best scooter in show with the rebuild of his longterm show pony : the Vespa Street Racer 1973 Veloce and also showed Fiona’s slick P200E in the show n shine. 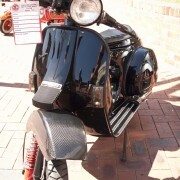 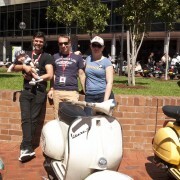 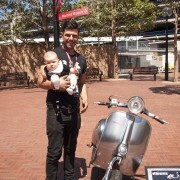 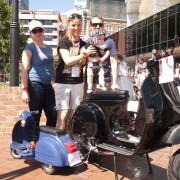 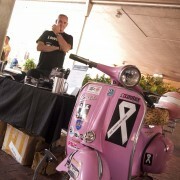 As a first our son Ryder put his little vintage vespa pushy on display too!